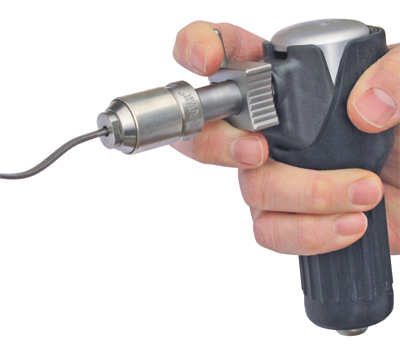 Falcon Tool Co., Inc., Cleveland, OH, has introduced a new protective finger sleeve for its Di-Profiler reciprocating tool, designed to minimize harmful vibration during die deburring, filing and polishing. The sleeve helps operators comfortably guide the polishing/filing tool over the workpiece, and includes an extension rod—for use on longer tools—in addition to the standard rod. See also: Falcon Tool Co., Inc.